Character develops from adversity, and so the biggest challenge I’ve set for myself is to get comfy with being uncomfortable. Jason’s role of Country Manager includes the overseeing of operations, business development and affiliates that pertain to Fundnel Brunei. Prior to Fundnel, Jason was a fresh grad who had internship opportunities under Brunei Shell Petroleum (BSP) where he worked under the local Business Development division. Post BSP, Jason interned for Darussalam Enterprise (DARe), a statutory body that nurtures and supports local enterprises. 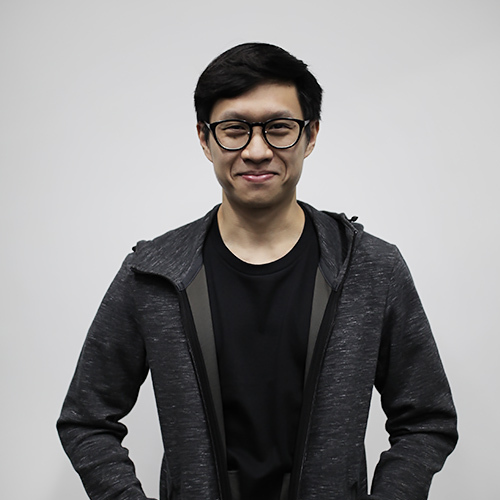 Soon after, Jason was the Communication Executive for a startup, The Creative Core BN where he had organised international entrepreneurship events in Brunei most notably Startup Weekend and ASEAN Rice Bowl Startup Award envisioning the spur of more local startups within Brunei. My name is Jason, but you could call me Bruce. As in, Bruce Wayne, Batman — my favourite comic character of all time. Like my hero, I live a secret double life: As a semi-pro magician, I performed for audiences far and wide while upgrading my socialising skills. Outside of work (and performing magic), you’ll find me beating defenders on the futsal court.